Our eggpron in a kids size! Farmers in training need eggprons too! 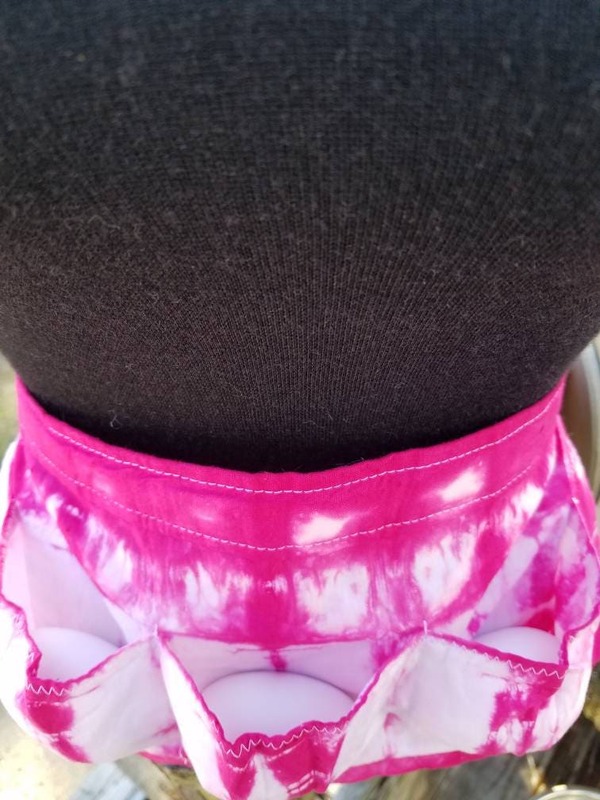 Tie dyed egg collecting waist apron is made with 100% cotton fabric, fiber reactive dyes and thread. 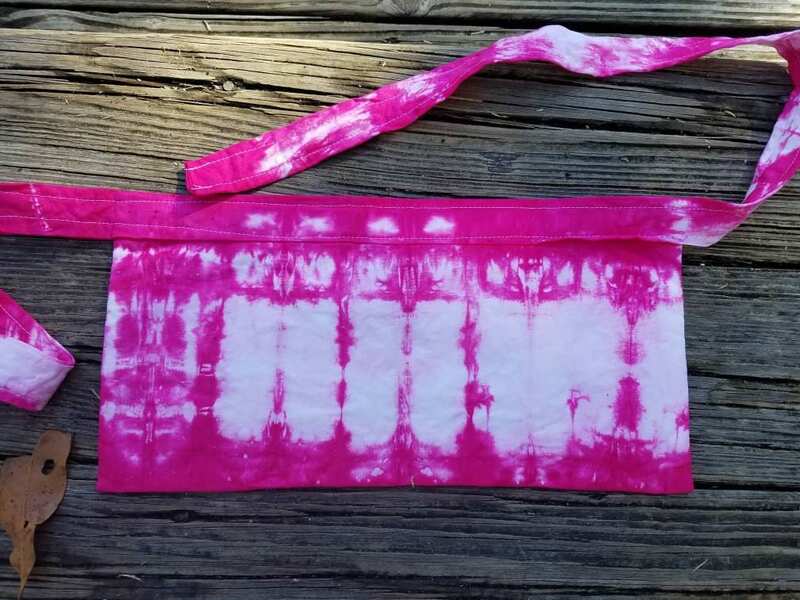 Fiber reactive dyes will not run. Apron measures 14 inches long and 7.5 inches wide. Ties measure 24 inches from the side of the apron. 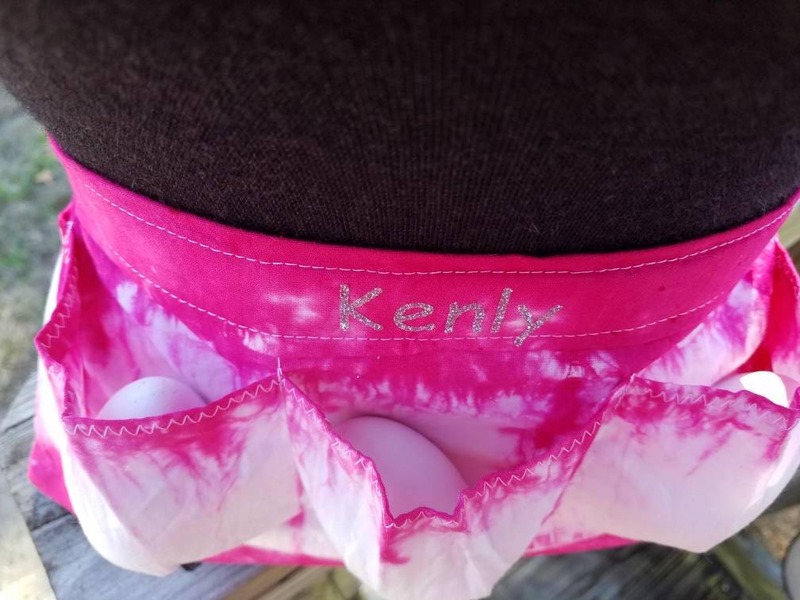 There are 3 pockets made with box pleats so each egg has its own nest in the apron. 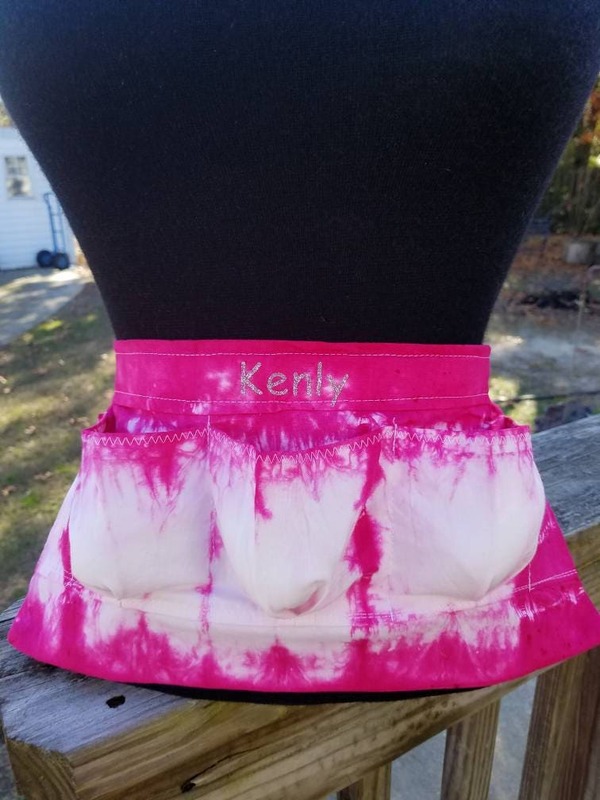 Personalize the apron by choosing the text option. Text will be applied with iron on vinyl. Please let us know what you would like the apron to say in the notes to seller or send us a convo. 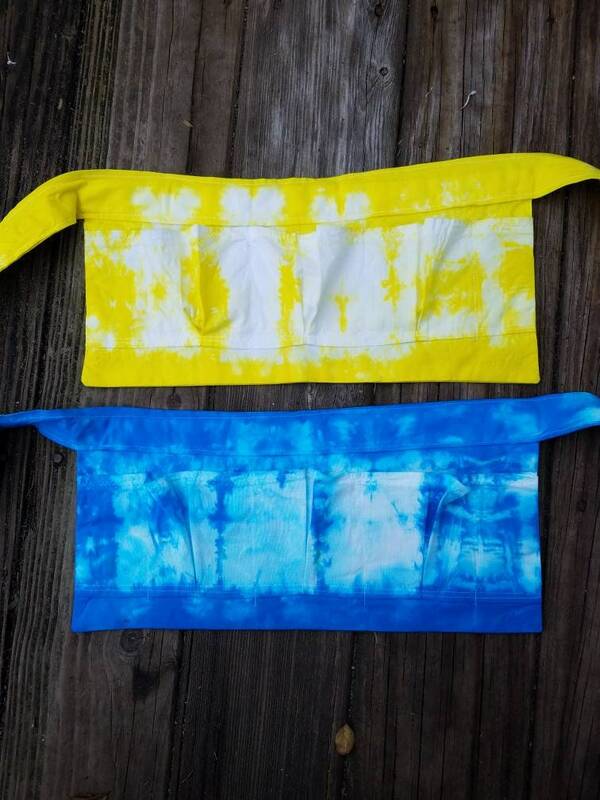 Apron will be the primary color you choose and white. Rainbow will be all the colors of the rainbow and white. 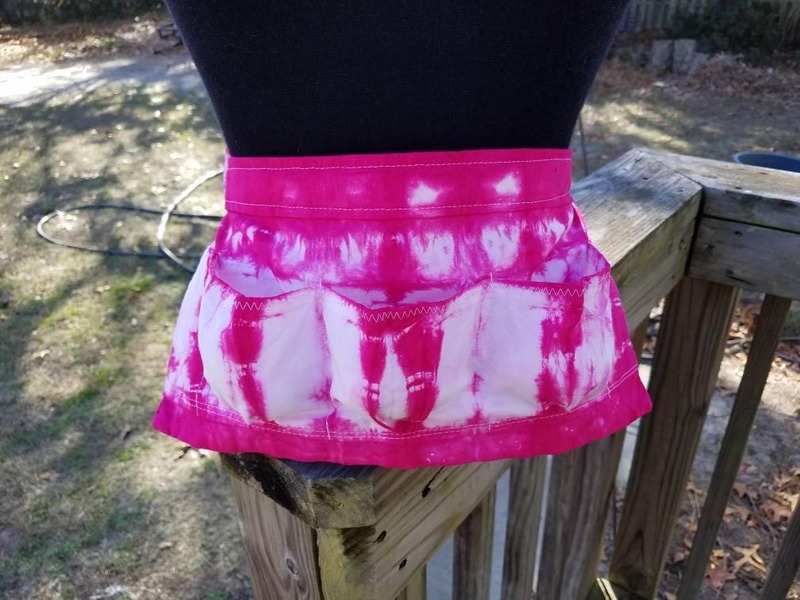 Dyeing is usually a three day process. Most orders will be sent out within a week of being ordered. Machine wash with like colors and hang dry. 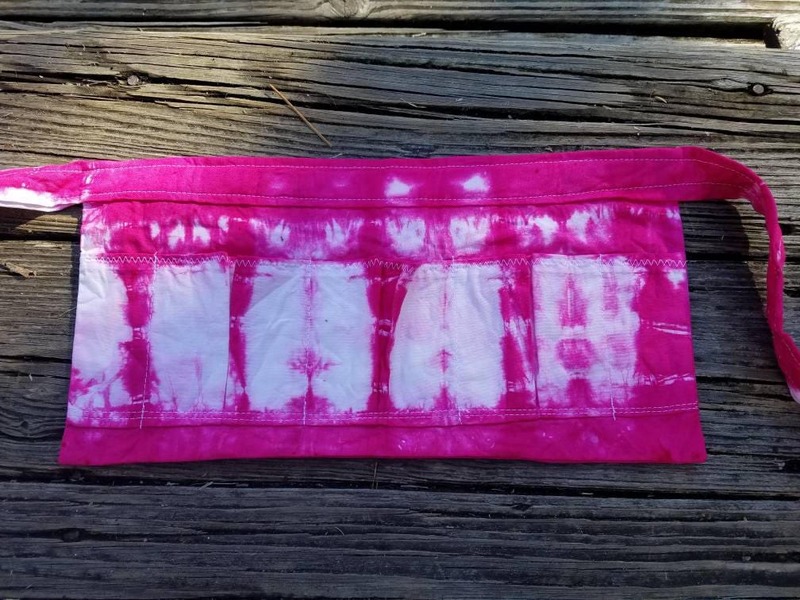 Tie the ties together so they don't tangle in the wash.
Want custom dye or different fabric? Send us a convo!